For more than 40 years, John Kruchko has concentrated his law practice on the representation of management in labor and employment law issues. 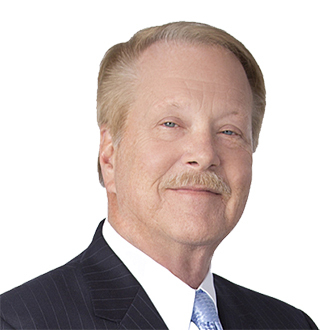 His experience includes serving as a labor law practitioner with law firms in Philadelphia and Baltimore. He is an active member of the Labor and Employment Law Section of the American Bar Association. John is a graduate of the Law School of the College of William and Mary, where he served as an editor of the Law Review. In addition to his law degree, he holds Masters Degrees in Labor History and Labor Economics. John is the author of two books and numerous articles in the labor and employee relations areas, and is a frequent speaker before legal, business and labor relations organizations. He has served as a lecturer in labor relations at Towson State University; an adjunct professor in the masters program in Human Resource Management at American University; and is a frequent presenter before Chambers of Commerce, Trade Associations Bar Associations and organizations of Human Resource Professionals. He authored, The Birth of a Union Local, Cornell University Press; co-authored, "The Maryland Employer's Guide to Labor and Employment Law," Michie Company; and served as editor of "Employer's Guide to a Drug Free Workplace in Maryland," Maryland Center for Business Management.